FEDERAL resource minister Josh Frydenberg has called for bipartisan support for the oil and gas industry but said community concerns about the industry must be taken into account. 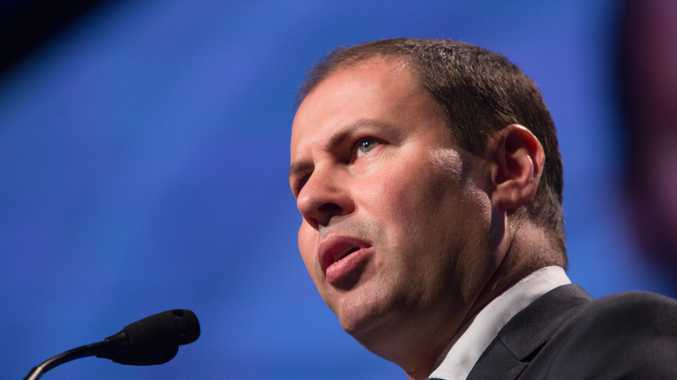 Speaking at an oil and gas conference in Brisbane on Monday Resources Minister Josh Frydenberg said if re-elected the Coalition would provide an additional $4 million to the CSIRO for more research into gas. The funding will be used to extend the Gas Industry Social and Environmental Research Alliance to engage in research and communication regarding liquid natural gas and coal seam gas. Mr Frydenberg said community concerns regarding the gas industry should be listened to and discussed. "Legitimate concerns have been raised in the broader community about unconventional gas extraction, particularly the impacts on water and prime agricultural land," he said. "These concerns need to be heard. As part of this discussion, the Turnbull Government is committed to better informing the community through science and research." Australian Petroleum Production and Exploration Association chief Malcolm Roberts welcomed the commitment. "The rigorous and independent scientific research conducted by GISERA on Australia's growing natural gas industry provides vital information to communities, governments and industry alike," he said. Shadow treasurer Chris Bowen announced last month a Labor government would introduce a national interest test for new or significantly expanded gas projects. Queensland mining minister Anthony Lynham announced on Monday the State Government would continue to fund the Coal Seam Gas Compliance Unit out of Toowoomba, Roma and Brisbane. "The Compliance Unit is vital to reassuring people that your industry is well regulated," Dr Lynham told the APPEA conference. Mr Frydenberg and Dr Lynham said their governments continue to support the gas industry - but both said the industry needed to better convince the wider community. "As representatives of the people, we remain steadfast in our belief that this industry has been state-building. Jobs, economic growth and prosperity have benefited families in this state," Dr Lynham said. "But you have not convinced the community, and in fact traction against CSG is omnipresent."